brandflakesforbreakfast: broken arm, or robot costume? broken arm, or robot costume? Clunky casts, be gone! 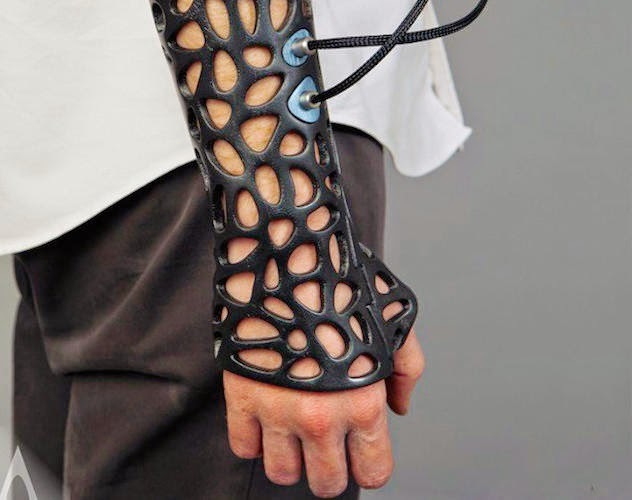 Having a broken arm could soon look a lot cooler, thanks to a new 3-D printed cast, with the extra bonus of healing bones up to 40% faster with the help of an ultrasound device. Some people (we're thinking young boys) may like it so much, they won't want to take it off!